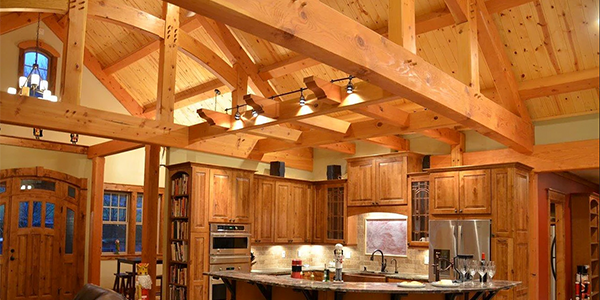 Join Timbercraft's Free Webinar - "Designing a Timber Frame Specifically for Your Budget"
Thursday, April 18, 2019 at 8 PM - 9 PM EST. In this webinar Bob Sternquist, President of Timbercraft and James Miller, Lead Designer at Timbercraft will discuss turn key construction costs and hybrid design. Timbercraft will explain many of the fixed and variable costs each project will have. Timbercraft will further explain the design matrix and with the process of hybriding a timber frame home which allows each of their customers to fulfill their dream of owning a timber frame home within their desired budget. Fill out the form below to register for "Designing a Timber Frame Specifically for Your Budget" presented by Timbercraft and Timber Home Living. This article is sponsored by Timbercraft Homes.